but i have to see an example to learn. thank you. So perhaps look at the examples? This is just one of many, including the link I sent you above. thank you. i didnt know about the example sketch generator. what is virtual pin 5? on my wemos d1 mini i dont have any such pin. All the links for the Documentation, Help Center and Sketch Builder are at the top of this page… you may need to scroll up to see them. Virtual pins are virtual and are meant to transfer information between the App and the sketch, not part of the physical GPIO. 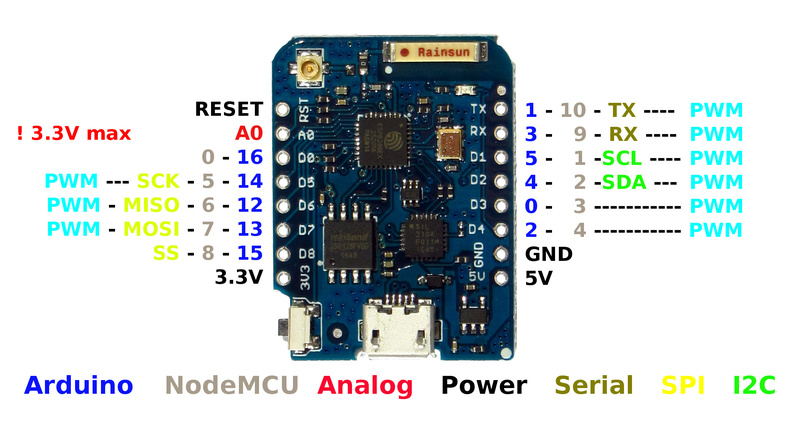 Note, when programming ESP boards with Arduino IDE you do NOT normally use the silkscreened pin designations, rather you would use the Arduino pin designations. ok so i tried uploading this code after reviewing some of the examples but the code wont upload. its says sensor data was not declared in this scope. sensor data was not declared in this scope. All variables need to be declared in some way, either within the function where that are used or globally where they can be used throughout the code. So something is happening. the code uploaded. i am getting values on the app however they not accurate. i remember with serial monitor they were making sense. You last code looks like it is missing libraries for the sensor? EDIT, hard to say now… I am unfamiliar with that sensor… however Blynk cannot alter how the sensor works. Only your code and calculations for the sensor and MCU variances matter. What is the reading frequency you are using in the display widget? The above code worked. Thanks Gunner! You pushing me helped for sure. for noobs out there like me the above code gets uploaded on wemos d1 mini using adruino. Next is to have blynk push a notification on my android phone when the temperature drops below a set point to monitor temperature on my house pipes. Is that possible? Yes, but you need to make sure there is a degree (pun intended) of hysteresis and other logic to keep from spamming notifications too frequently if the temperature is fluctuating a degree back and forth. That basically comes down to code. Search this site for keywords like hysteresis, notification etc. Also, I believe the BLYNK_READ() & Widget reading rate combo only works when the App is active… for background monitoring, look at the BlynkTimer, BLYNK_WRITE() and Widget PUSH combo. You have nothing calling notifyOnhightemp() so of course nothing happens. You would need to merge this process into the BLYNK_READ() or add a function call into the BLYNK_READ() or use a seperate timer, etc. Also, the way you have it, once something is setup to call that function it will constantly notify you when the temperature is above 20, you need some form of flag to prevent it from happening more than once. Remember, you also need to have the Notification Widget in your Project. Search this forum for other topics about temperature notifications and read how they do it… but keep your questions in your own topic, no need to reopen old topics. i have notification widget setup in the project. how do i add a function call in the BLYNK_READ()? how do i add a function call in the BLYNK_READ()? i have added a function call and the sketch uploads but it still doesnt notify me. PS i do have notify widget on the app as well. You are only declaring your variables within a single function, if you want them to work outside of that function you need to declare them Globally. not working but i appreciate your help. thanks you may close this post.